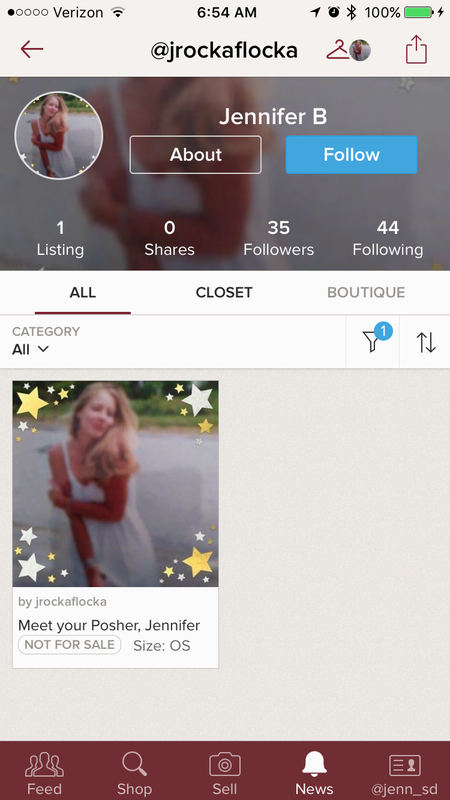 When it first started, it was so easy to identify spam on Poshmark. It would be a strange profile that was obviously a bot. It then evolved to requesting to contact via email, even offering more money to do an outside transaction. The scamming has since evolved to stealing a user photo and creating an account that looks like an innocent person. Then, they attempt to buy the item offline. 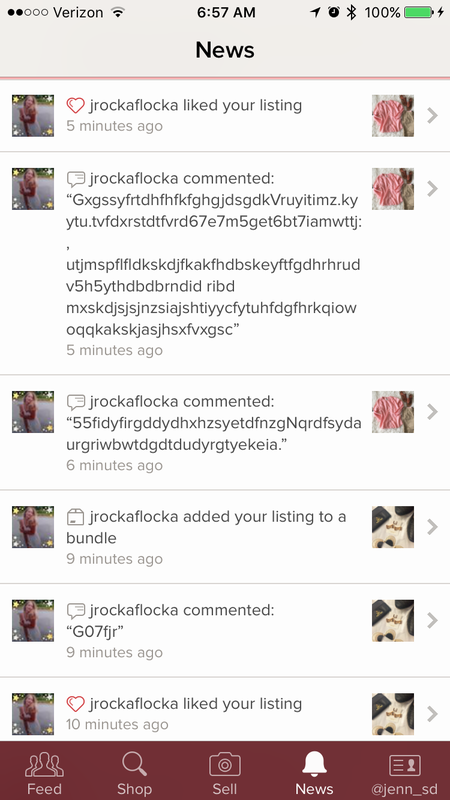 The scammer has now changed to another form – they start to like the items and bundle them. It doesn’t seem like a scam into the crazy commenting begins. It will even come to a point where they will respond to your friendly comments! Unfortunately, this means we have to take a bit more caution – if you see an unverified new user suddenly liking and commenting on all your items, wait a second. Don’t immediate contact them to make that sale (I don’t usually advocate that anyway since you want to give a buyer some space before you engage). Secondly, report and block as soon as you see the spam coming through. It’s common sense, but it’s worth repeating! 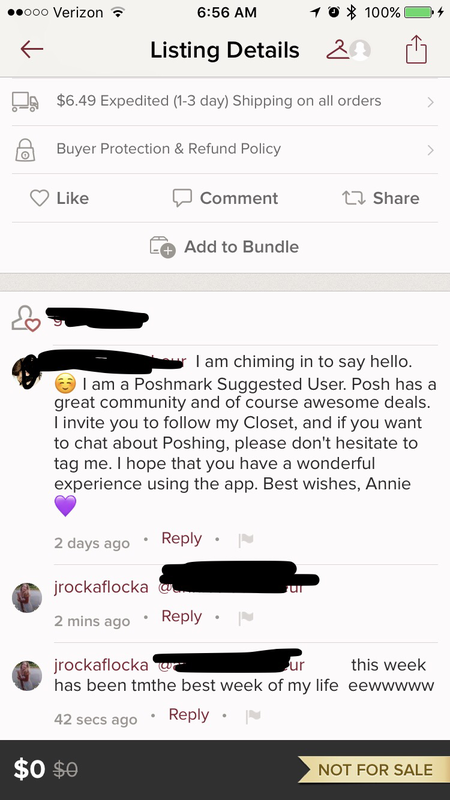 Unfortunately, this is a small inconvenience in dealing with Poshmark. As the app grows, so the does the opportunity for people to exploit it. Just taking a little extra precaution will definitely help!